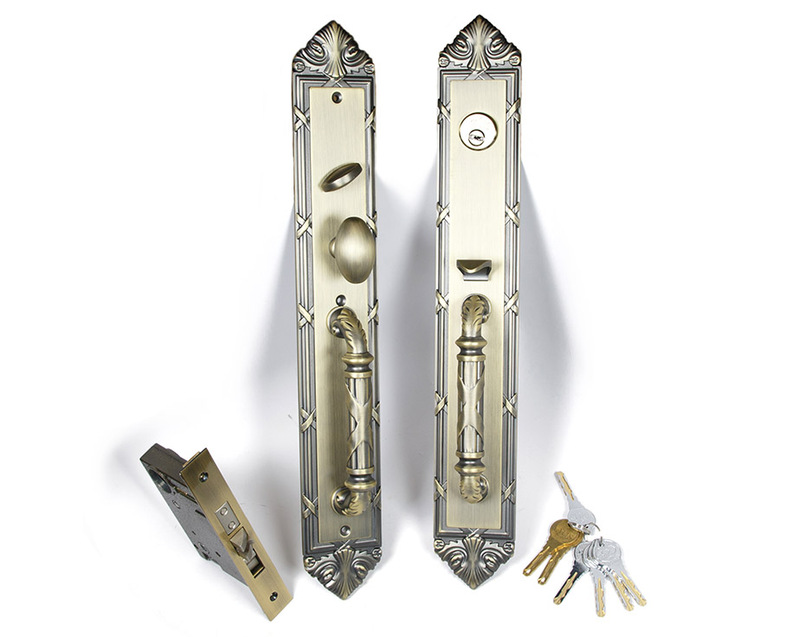 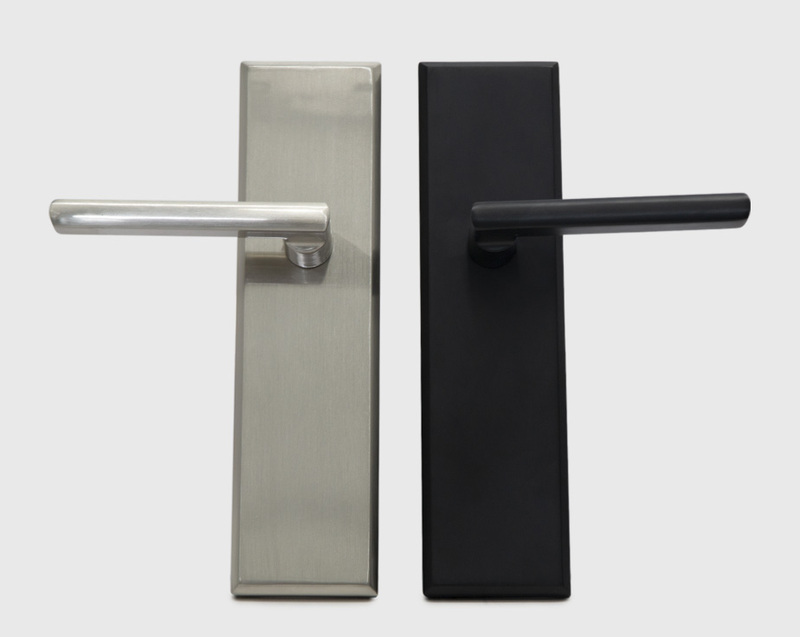 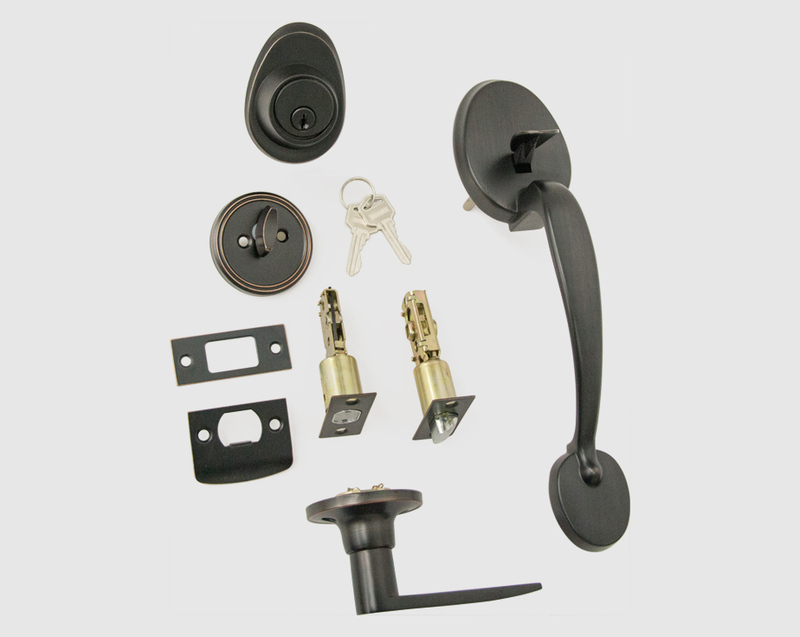 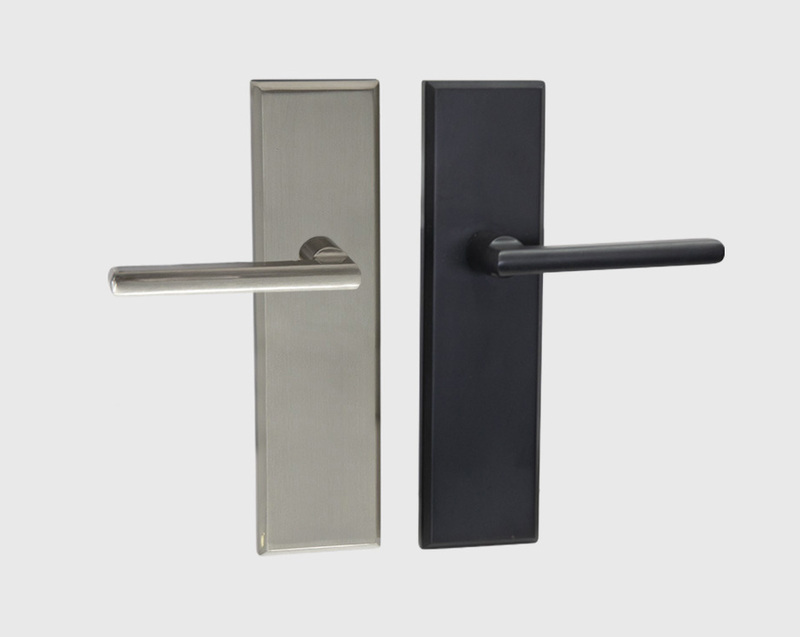 Single Door Handleset and Double Door Handlesets. Single Door Handleset is locked/unlocked with a key from the exterior and locked/unlocked from the inside of the home with a thumbturn when there is only one entrance door in the house. 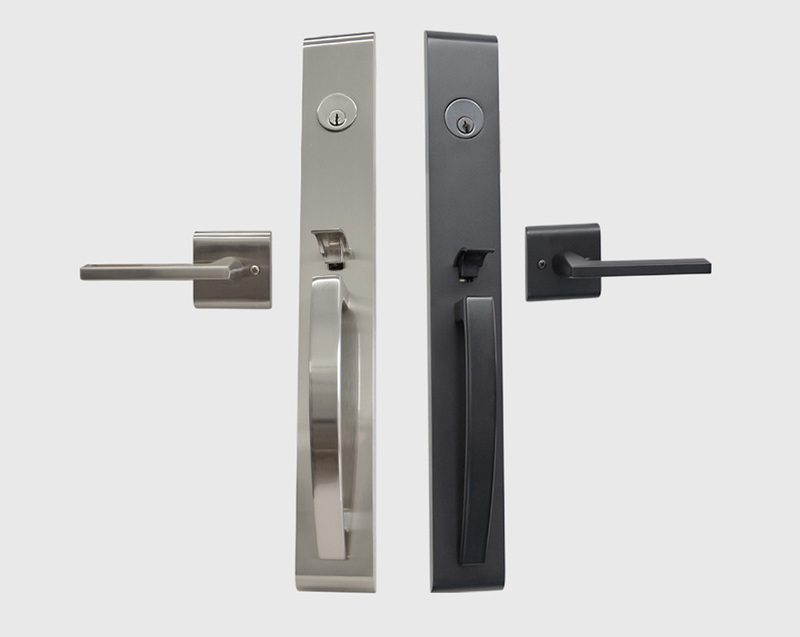 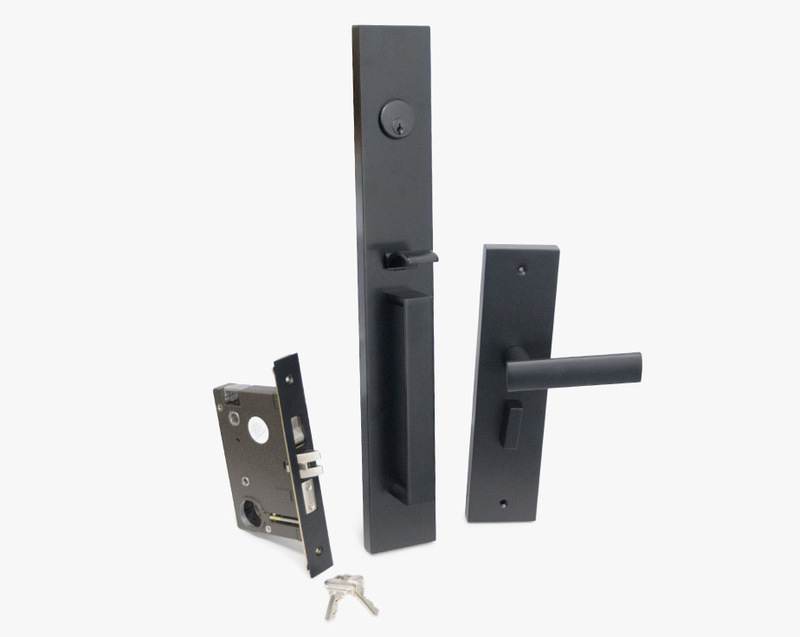 If you have a DOUBLE ENTRY DOOR you need to order two handlesets: One is for the active side (Single Door) and one for inactive side (Dummy Door). 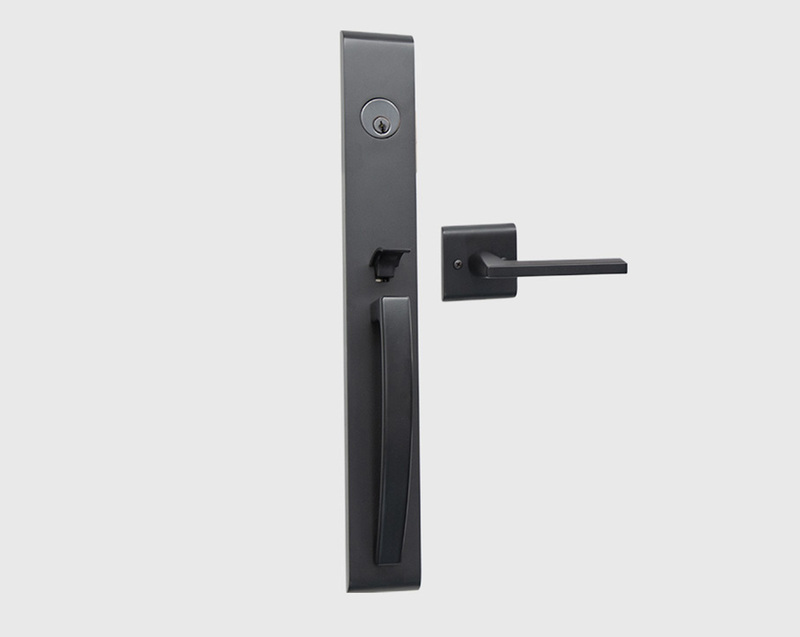 HANDLESETS ARE NOT SOLD AS A PAIRS for double doors. 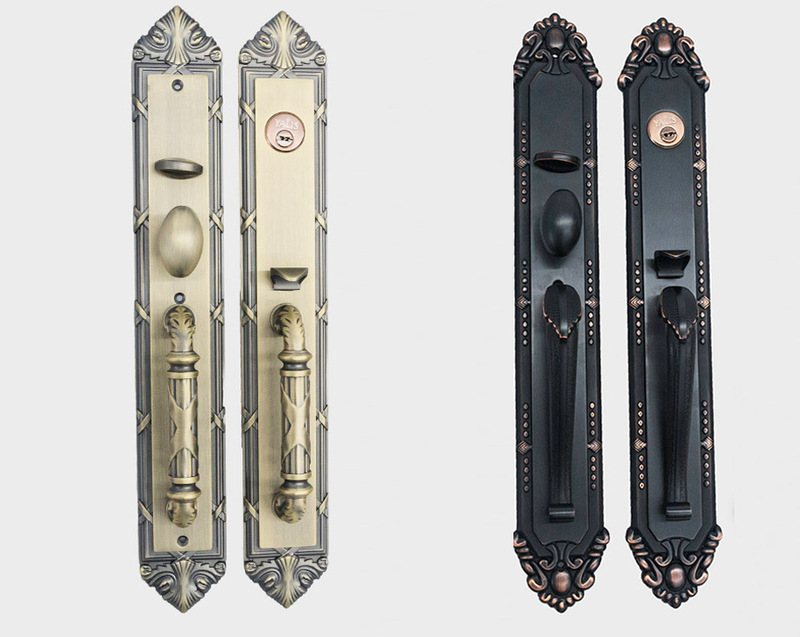 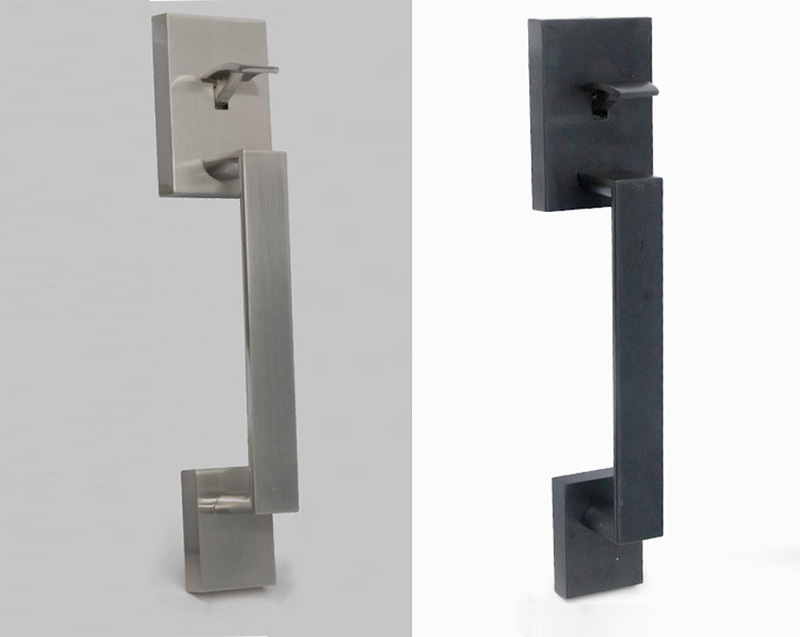 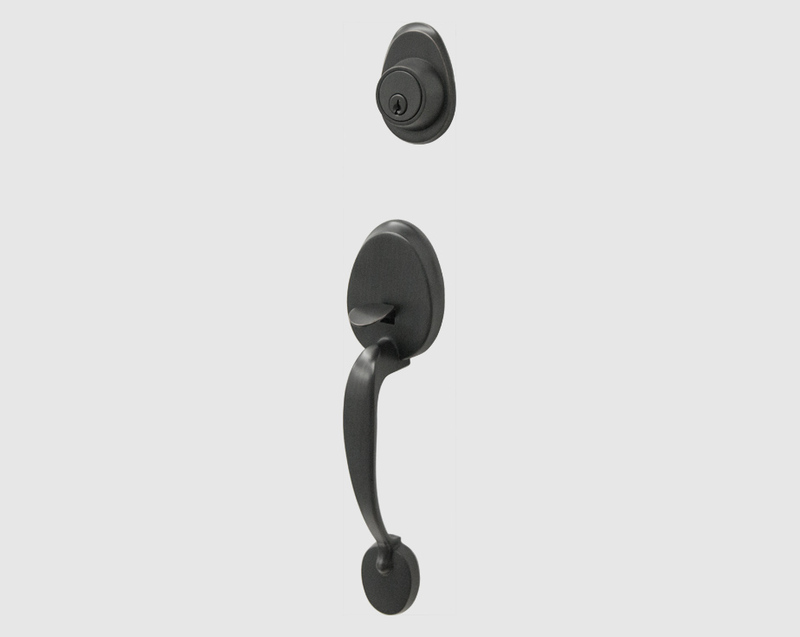 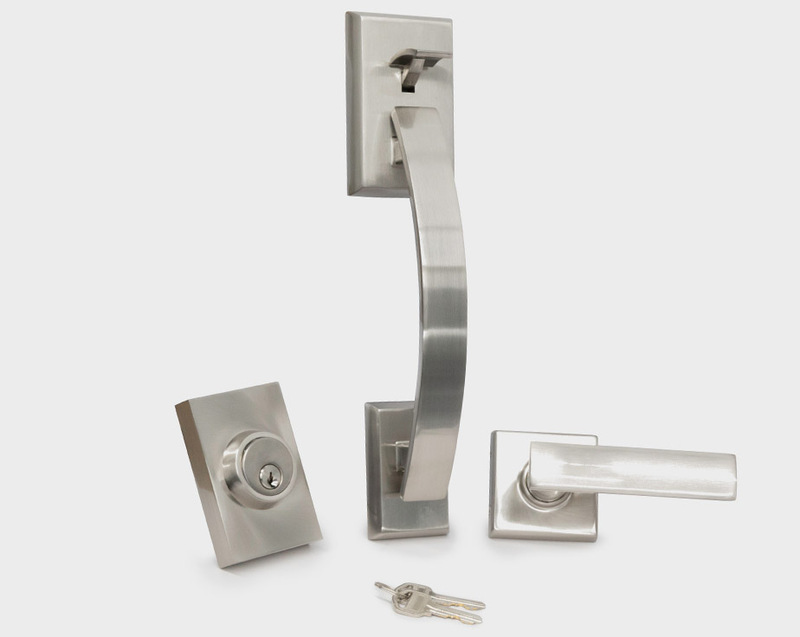 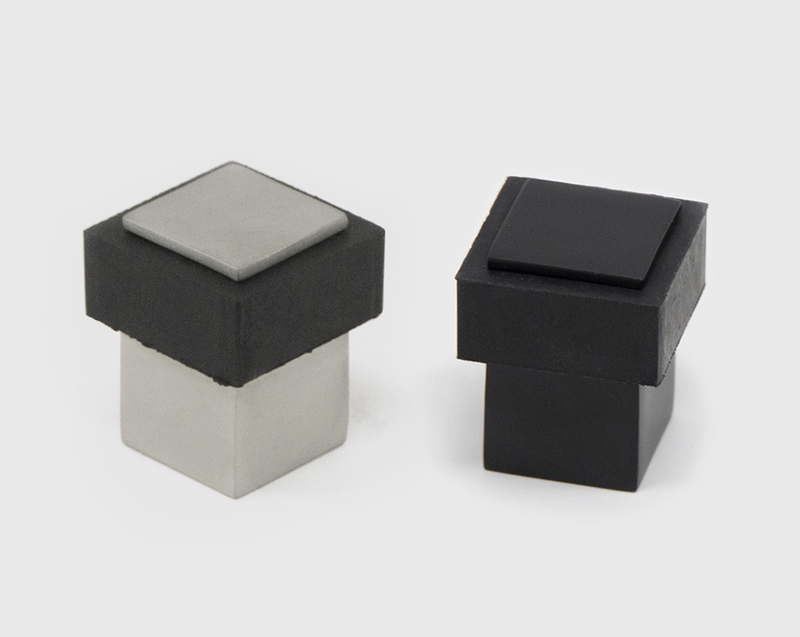 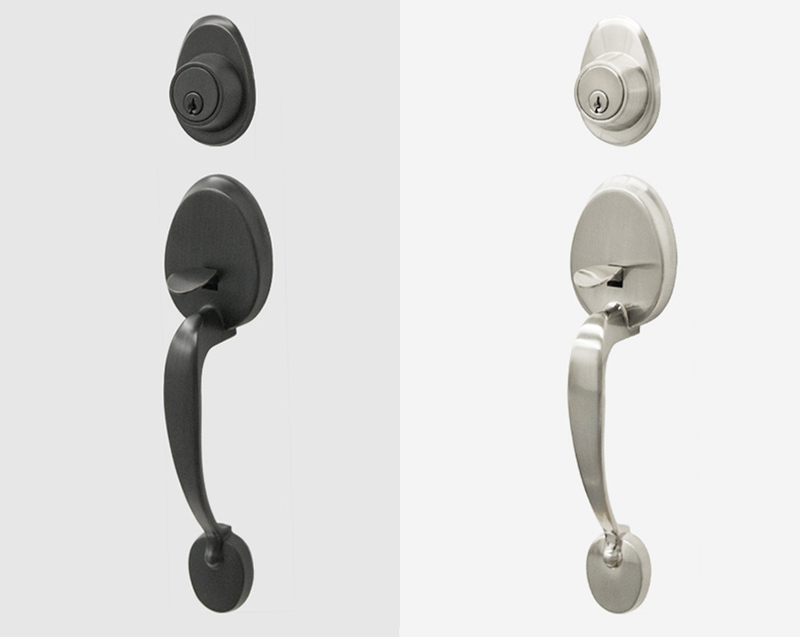 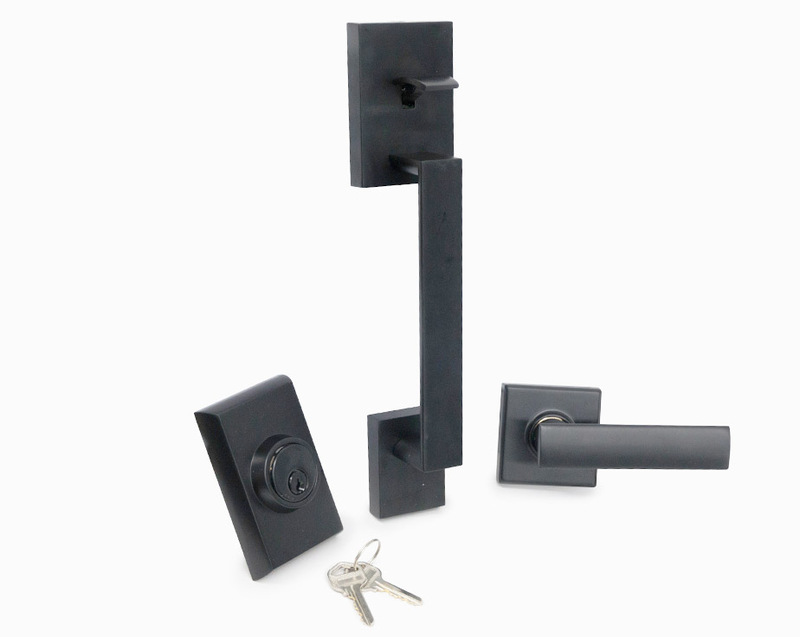 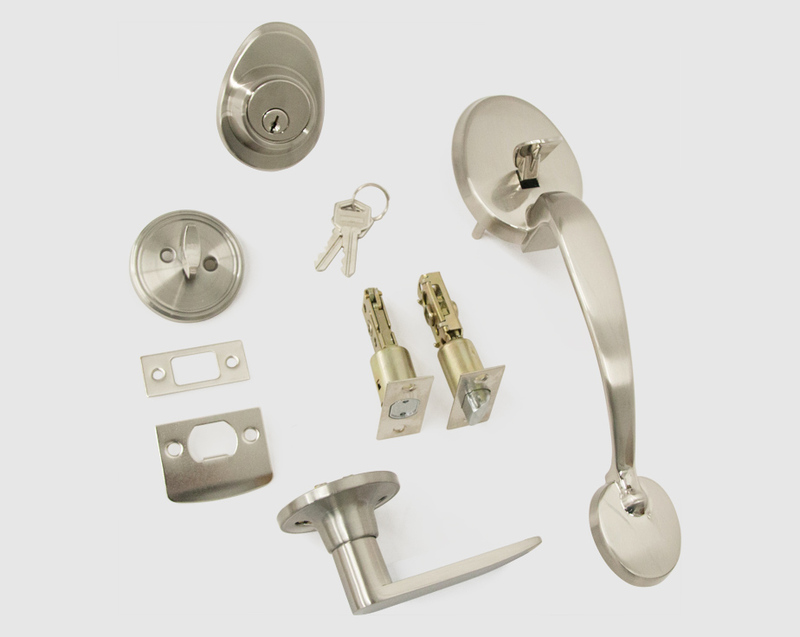 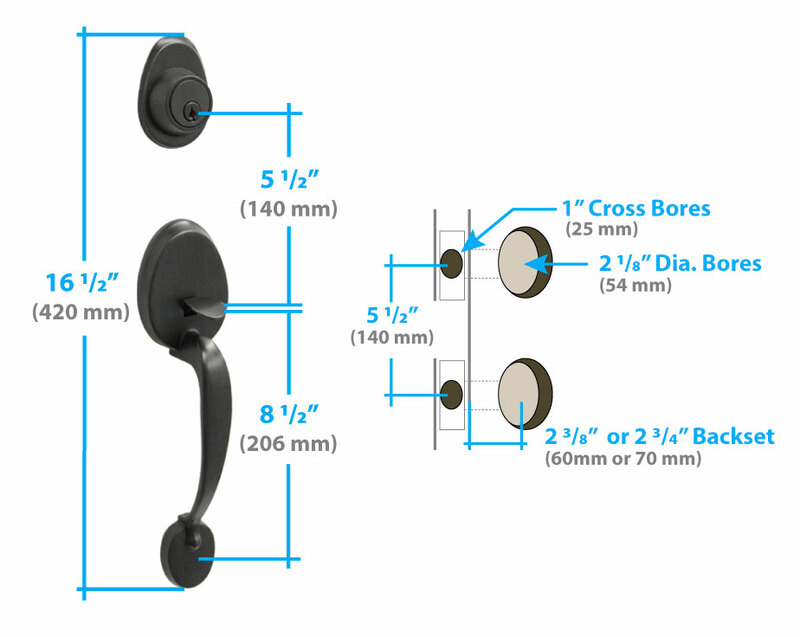 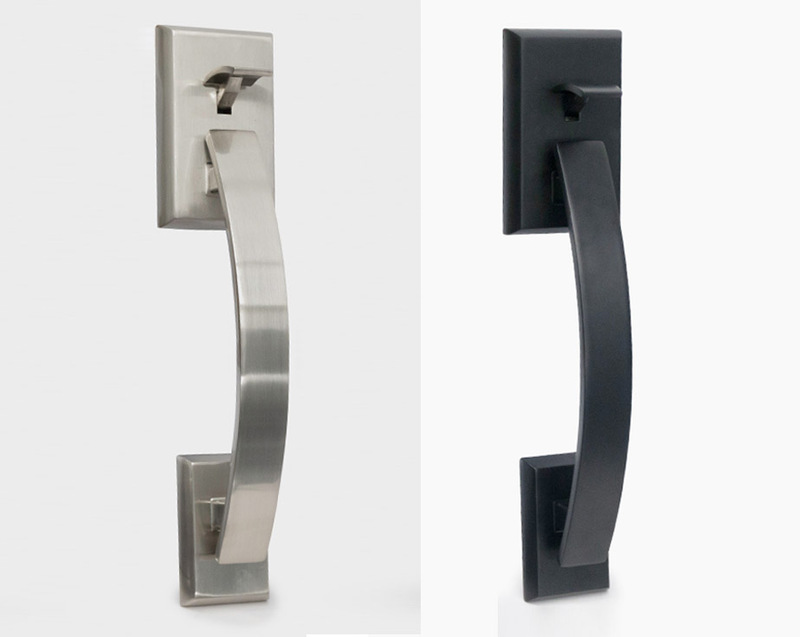 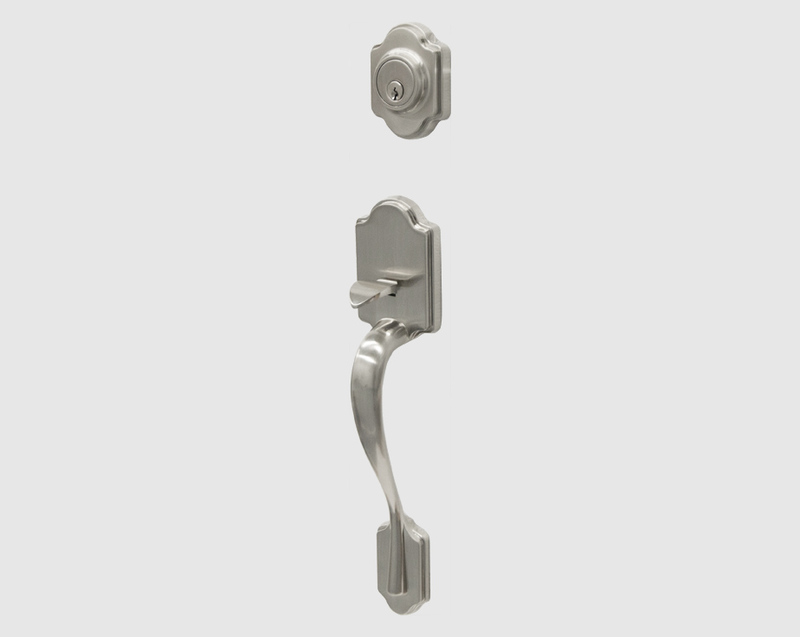 Dummy Door Handleset is essentially identical as an active set in the way they are made. 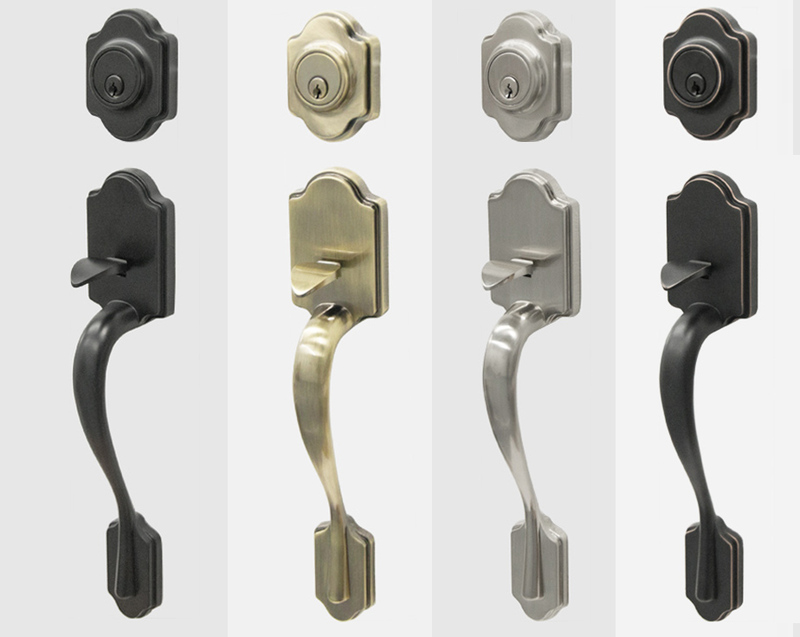 They have all of the same hardware except latches. 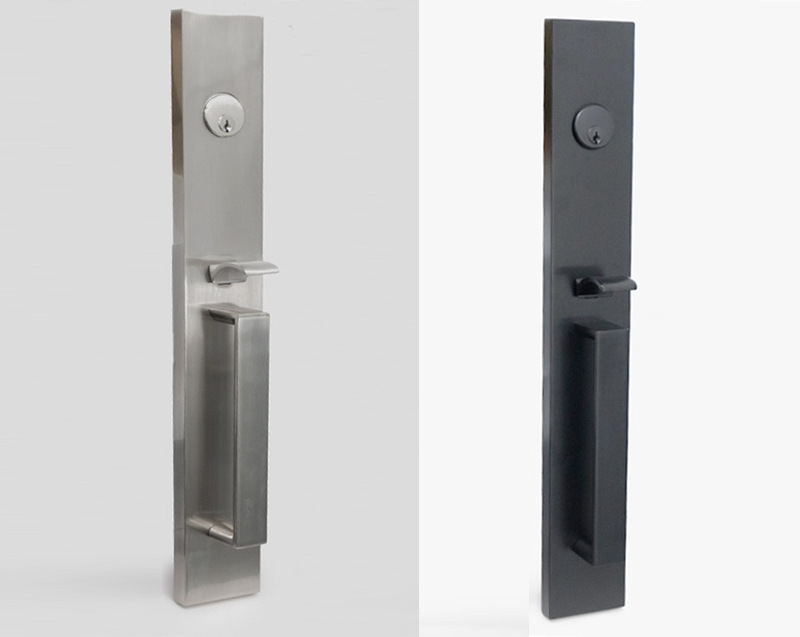 Dummy cylinder is non-operating (blank) and is mounted on the outside of the door. 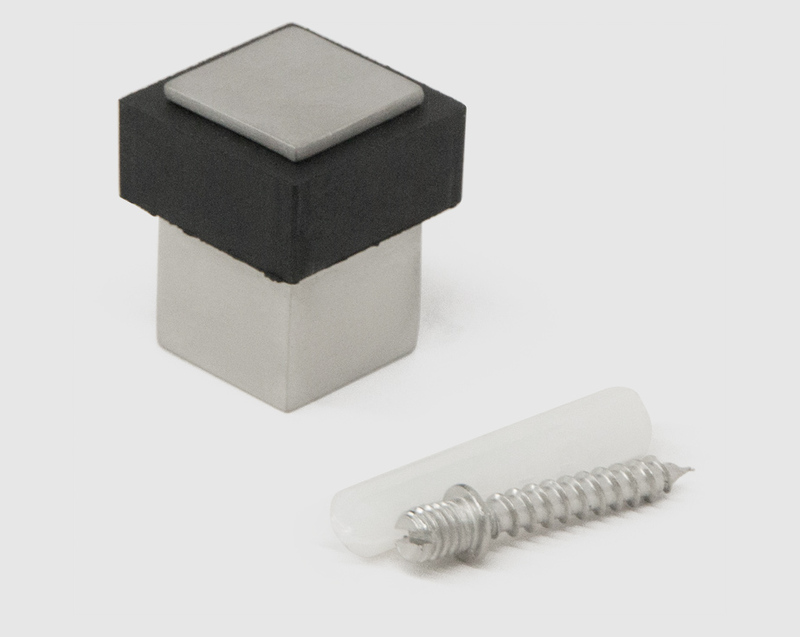 Thumbpiece is also non-operating.